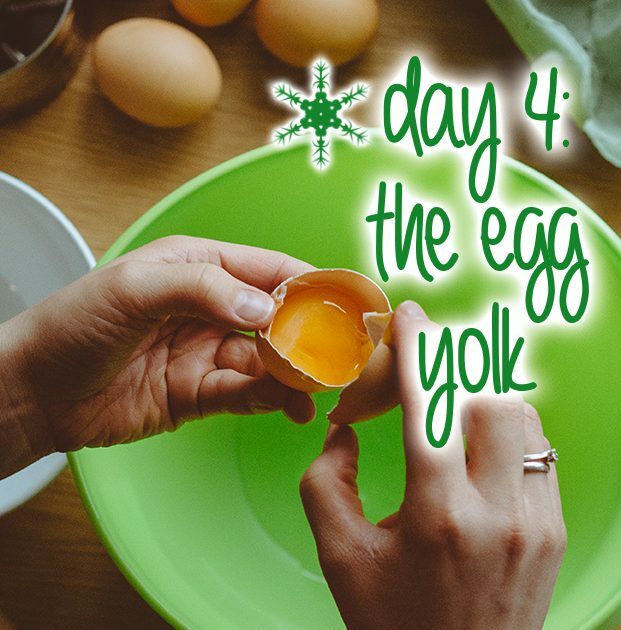 You’re sifting through recipes and stumble upon a great pudding for the holidays… But wait, it’s calling for just the egg yolk. Why in the world would I just use the yolk? Recipes that strictly call for the yolk of an egg do so for the yolk’s fat content and emulsifying abilities. The fat gives baked goods extra-rich flavor and a smooth texture. The yolk also as the unique ability to bind liquids and fats together, creating a mixture that prevents them from separating. This process creates a more consistent mix of ingredients by evenly distributing liquids and fats throughout the recipe. The end results – smooth batters, satiny custards and creamy curds! Below is a delicious, Vanilla Bean Pudding recipe to share with your loved ones. Place milk in a medium, heavy saucepan. Scrape seeds from vanilla bean; add seeds and bean to milk. Bring to a boil. Combine sugar, cornstarch, and salt in a large bowl, stirring well. Combine half-and-half and egg yolks, stirring well. Stir egg yolk mixture into sugar mixture. Gradually add half of hot milk to sugar mixture, stirring constantly with a whisk. Return hot milk mixture to pan; bring to a boil. Cook 1 minute, stirring constantly with a whisk. Remove from heat. Add butter, stirring until melted. Remove vanilla bean; discard. Spoon pudding into a bowl. Place bowl in a large ice-filled bowl for 15 minutes or until pudding cools, stirring occasionally. Cover surface of pudding with plastic wrap; chill. Vanilla beans can be expensive, but their superior flavor is worth the investment. Substitute vanilla paste or one teaspoon real vanilla extract if necessary. Stir extract in with the butter.